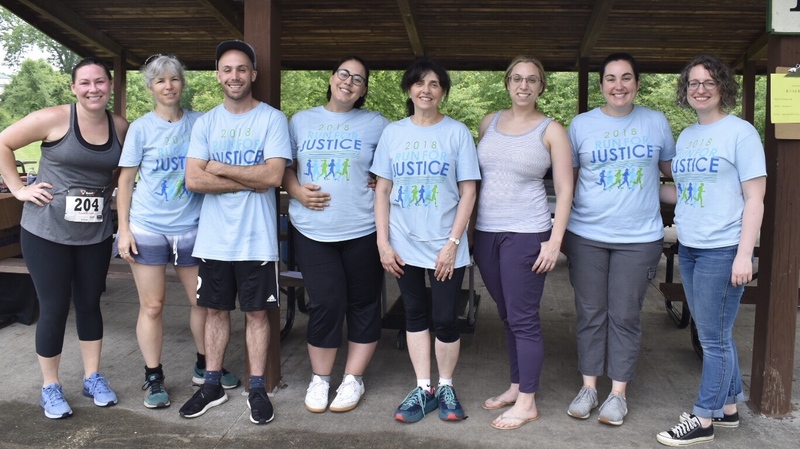 Roughly 100 participants turned out in support of the Pro Bono Resource Center of Maryland (PBRC) at Meadowood Regional Park in Baltimore County on Saturday, June 9, 2018, for the 4th Annual Run for Justice. The 5k fun run/one-mile walk raised several thousand dollars to benefit PBRC in its ongoing efforts to address the inequality of access to the legal system by connecting volunteer lawyers to economically disadvantaged individuals, non-profit legal services providers, and communities for free legal counsel and representation. “As the pro bono arm of the Maryland State Bar Association, we are able to display the passion and commitment of lawyers across the state to give back in a way that’s really unique to them,” said PBRC Executive Director Sharon E. Goldsmith.